Once you've seen my shop, you realize that I just love refined whimsy. Color and pattern all the way. BUT>>>>>>>>>>> I have always loved the simple and sophisticated as well. 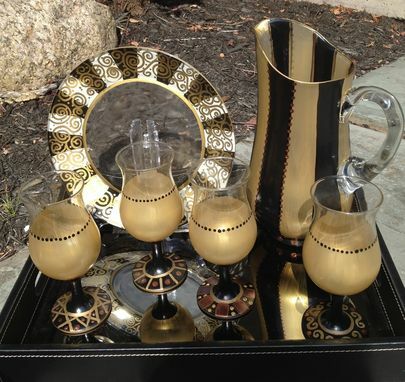 Last year I experimented with just simple gold/black/bronze colors. I painted a few plates, bowls and glasses. I never got around to listing them, simply because I ran out of time - and was busy filling orders - rather than painting something new. 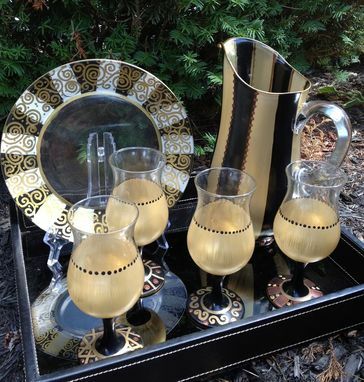 This set is PERFECT for a man, or a more tailored, formal decor. Wedding? Black tie affair? Anniversary? Piano recital? You pick. 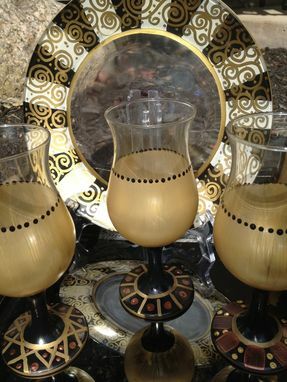 This design can be done on any glassware....wine, martini, etc. or any piece at all. My intent is always to get YOUR creative juices flowing. Mine are overflowing! 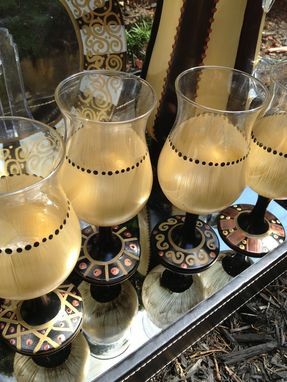 This listing is for stemware. This price listing is for one (1) glass. 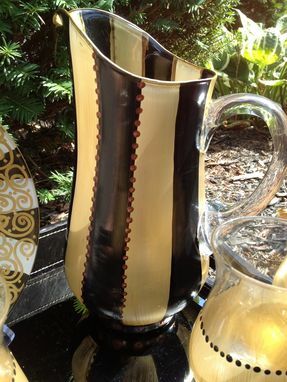 The pitcher is sold separately ( $65 ) as is the 10" plate ($22). Dessert plates are $19 each.